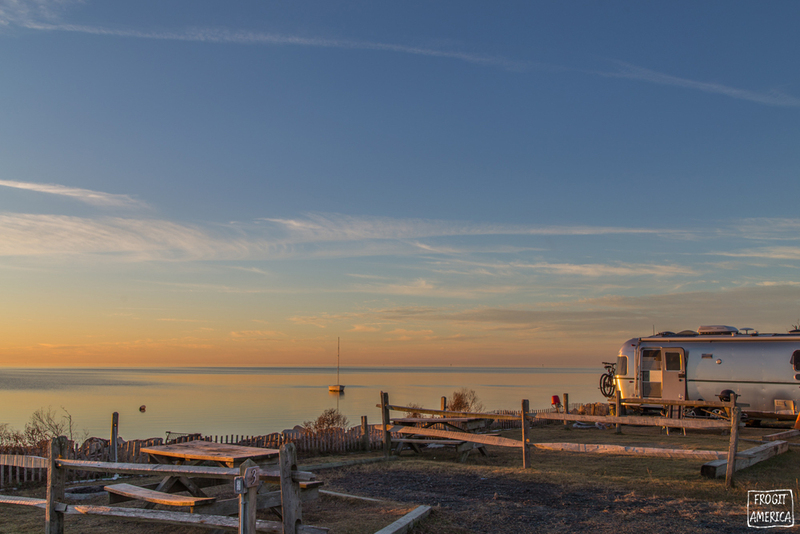 Escape the hustle and bustle of the daily grind, while camping waterfront and instilling the love of the great outdoors in your family at affordable rates. 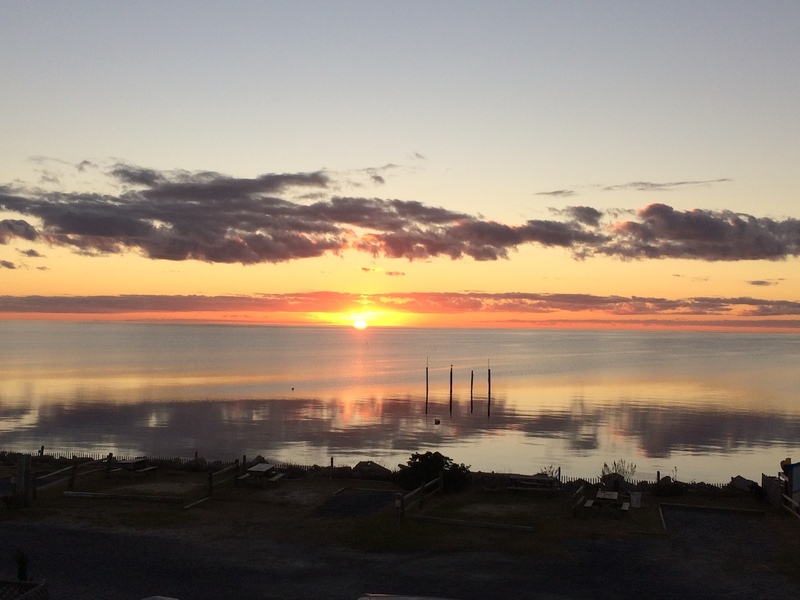 Rodanthe Watersports & Campgrounds, located waterfront on the Pamlico Sound, is the answer to your quiet, relaxing vacation dreams. 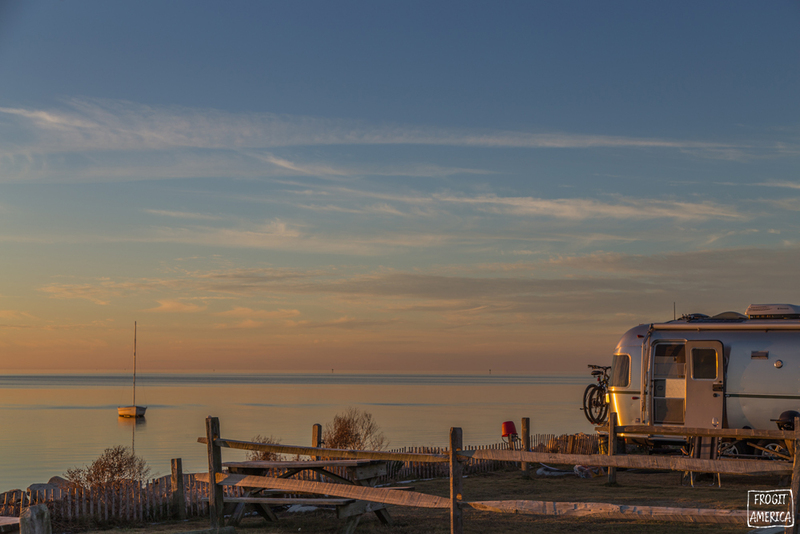 Enjoy nature at it’s finest - bring your tent or RV to the waterfront campground for soundfront & soundside camping. Electricity / water hook-up and bath house with hot showers are conveniently provided. 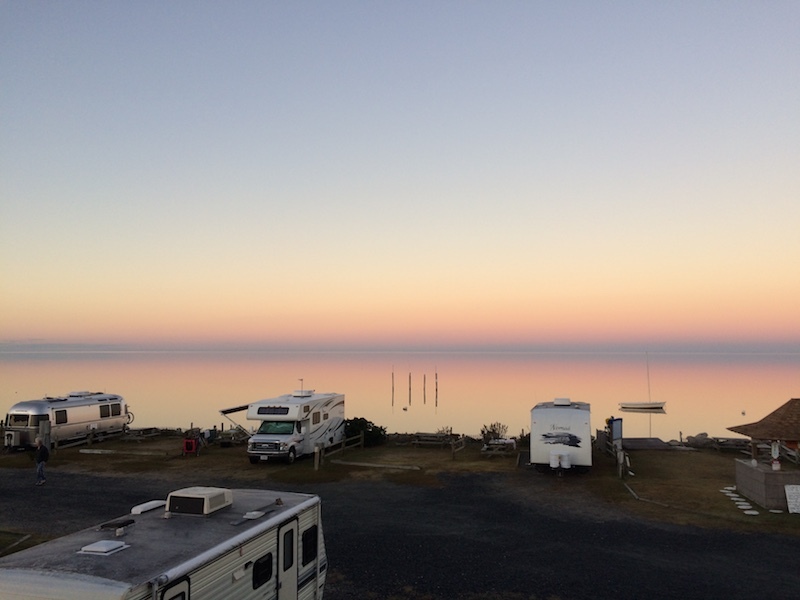 This family run campground is within walking distance to the beach, fishing pier, skate park, restaurants and shopping. 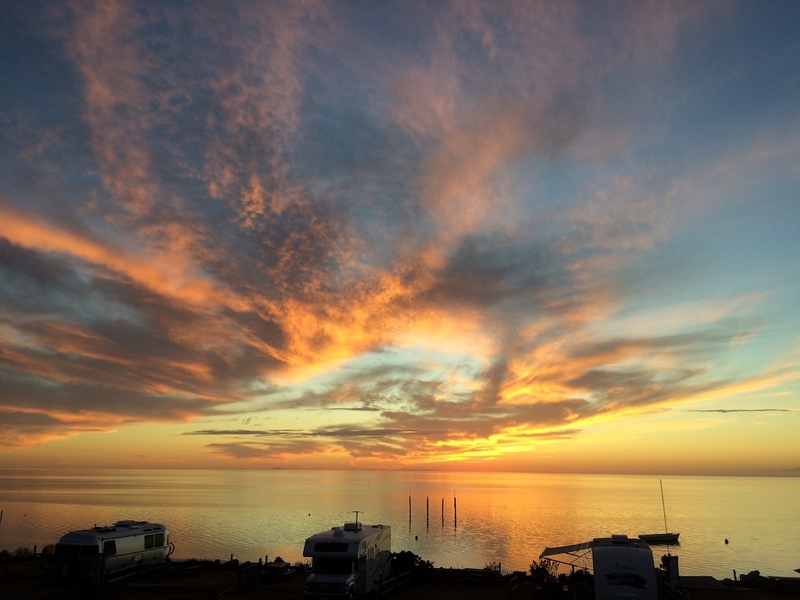 After spending your day swimming, kayaking, fishing, kiteboarding, windsurfing, surfing, paddleboarding or beach combing, sit back and absorb spectacular sunsets over the water from your campsite. 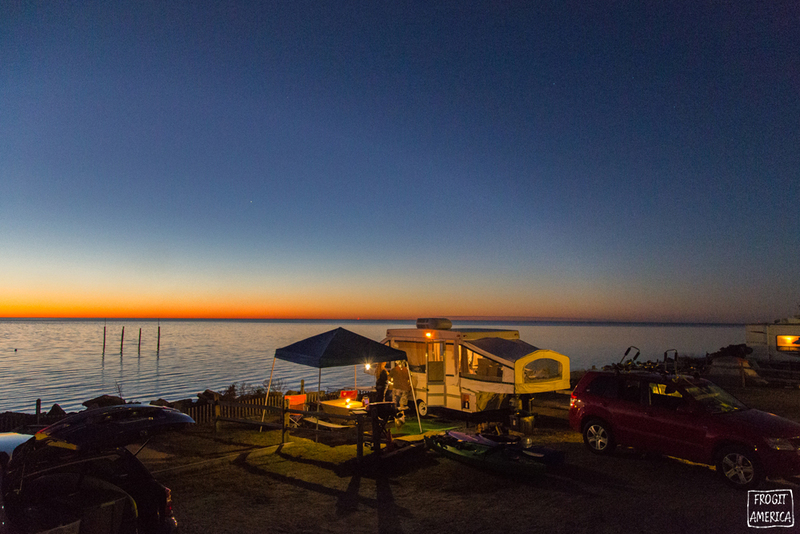 Reserve your spot at the amazing soundfront Rodanthe Watersports and Campground now. Discounts on Watersports are offered to Campers. Ask about our surfing and sailing lessons. Reservations: All reservations and cancellations can only be made by phone (252) 987-1431 and require a non-refundable deposit of $40 paid by VISA, MASTERCARD, or DISCOVER. This is not an extra fee. This non-refundable deposit will be deducted from your total at check-in. If you need to cancel, you must notify us by phone during office hours at least 10 days prior to your day of arrival. The $40 will not be refunded. If you cancel within 10 days of your scheduled arrival date you may be charged for the entire time you have reserved. One camping unit or family per site. Maximum 6 persons per site and 2 vehicles per site. A trailer is considered a vehicle. All visitors & guest must register with office upon arrival.